The increase for the 207,000 customers in the Washington Health Benefit Exchange is about 10 percent less than what the exchange approved for 2018. Premiums for Washington state’s health-insurance exchange will likely increase by nearly 14 percent next year, according to state insurance officials. At this point last year, the Affordable Care Act (ACA) escaped a couple attempts by Congress to kill the law. The Trump administration then made a series of changes to the ACA, also known as Obamacare, in an effort to weaken it. Despite ongoing efforts to cripple or eliminate the ACA, the law remains on the books. The specter of continued repeal efforts and the cost of prescription drugs have an impact on next year’s rates, Kreidler said. “Our biggest challenge continues to be addressing the rising costs of health care. It’s difficult to tackle this issue when there’s so much uncertainty at the federal level about the future of health reform, but we must take on the underlying cost-drivers, including the rising costs of prescription drugs if we want to see premiums decrease,” he said in his statement. While Washington’s premiums are set to rise next year, many other states are projecting either small increases or decreases. 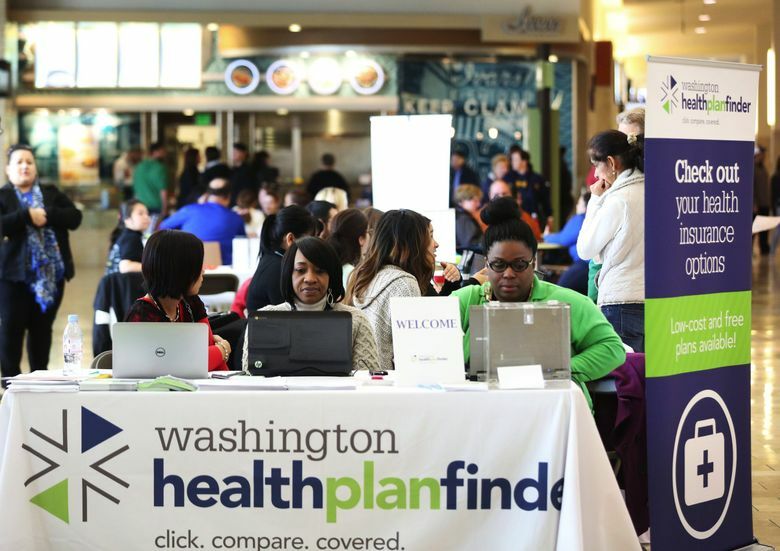 Michael Marchand, spokesman for the Washington Health Benefit Exchange, said a review of rates since the ACA began in 2013 tells a better story about Washington than simply comparing next year to this year. “We’ve been in a better situation for stability than other states,” he said. Kreidler’s office is trying to have the rates set for the 59,000 people buying insurance on the individual market outside the exchange by the end of the month or early October. The exchange, with its 207,000 customers, makes up only a portion of the insurance market. Most people get insurance through their employer or through Medicaid or Medicare.